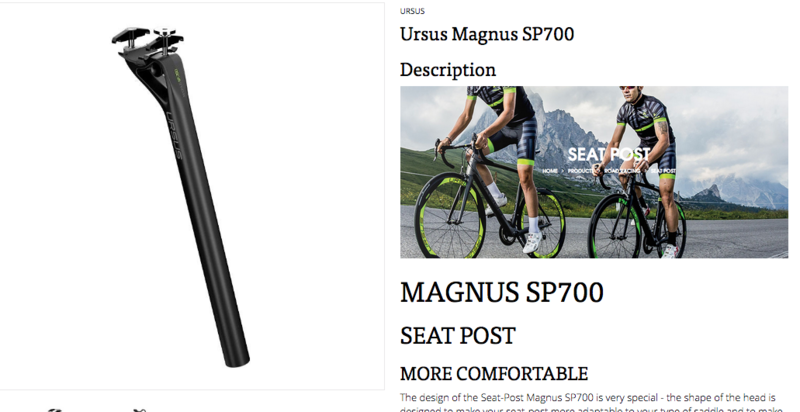 The new Ursus MAGNUS SP700 Seatpost is here! It has taken some time, but it is well worth the wait! As with all things Ursus it is a beautiful, high performance product that will be the perfect upgrade or finishing touch to any superbike. It comes in 27.2mm x 350mm currently. Weighing in at just 180g. The post as been designed to offer a great range of adjustment to ensure you can get the perfect saddle angle. In addition Ursus have worked with some of the world's best saddle brands to ensure the clamping mechanism places the minimum of loads on your saddles rails, reducing the chances of them snapping.